Etched Palm All Purpose 18 oz. Large all purpose wine glass. 18 oz. and 9 inches tall. 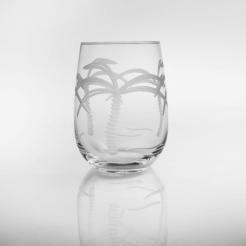 Etched Palm Flute 8 oz. Elegant flute holds 8 oz. and measures 9 inches tall. 10 oz. Martini Glass is 8 inches tall. 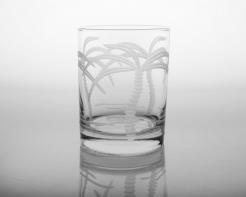 Etched Palm Old Fashioned Glass 14 oz. Double Old Fashioned glass holds 14oz. and is 4 inches tall. 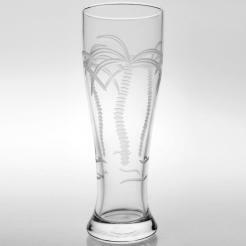 Etched Palm Pilsner 16 oz. 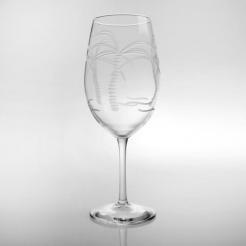 Etched Palm Red Wine Glass 18oz. Round style glass especially for red wines. 18 ounce and 8 inches tall. 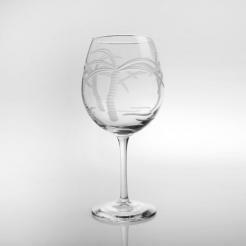 Etched Palm Stemless Wine Glass 17 oz. Stemless wine glass holds 17 oz. and is 4 & 1/2 inches tall. 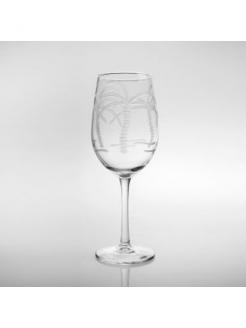 Etched Palm White Wine Goblet 12 oz. White wine glass holds 12 ounce and is 8 inches tall. 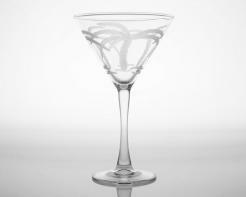 Embossed palm acrylic tumbler stands 4.5" high. 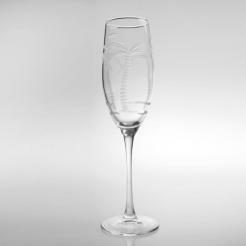 Embossed palm acrylic wine glass stands 8" high. Embossed palm acrylic tumbler stands 6" high. Colorful, prism-patterned tumbler in acrylic stands 4.5" high. Colorful, prism-patterned acrylic pitcher stands 11" high. Colorful, prism-patterned acrylic flute stands 8" high. The amazing bird of the tropics.